Same song, different verse, except this time the Kansas City Royals are coming off a World Series Championship, unlike the game 7 loss to the Giants. It was this time last year where nobody was giving the Royals a chance at returning to the World Series. Blah, blah, blah… We heard those phrases 100 times last February and this team went out and dominated the division, had the best record in the AL, and then beat the Mets in five games to win the World Series. The Royals have proved in the last two years that the Ned Yost brand of baseball can win, although everyone doubted it. We are hearing some of the same things now, and it’s astonishing. It’s like all the baseball analysts didn’t watch the Royals at all last year. 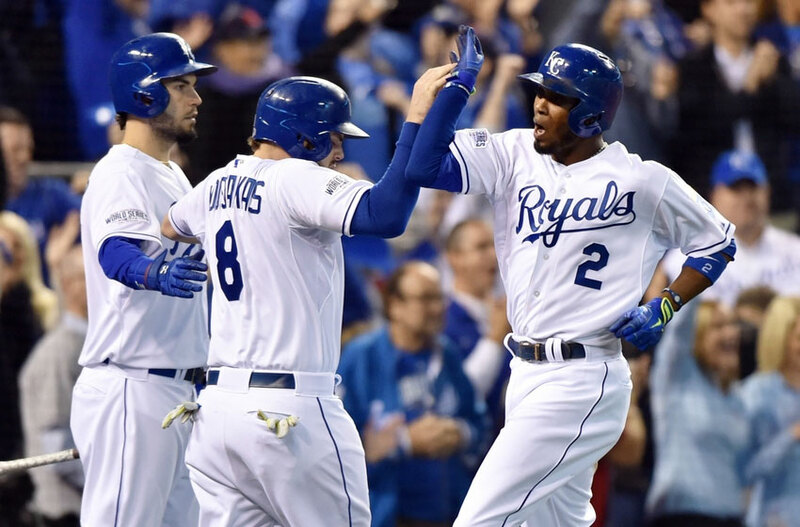 USA Today has the Royals going 83-79, finishing behind the White Sox in the Central. It’s the same team minus Johnny Cueto, and adding a solid starter with Ian Kennedy, who is a veteran with a career 3.98 ERA. In 2011, he won 21 games with the Diamondbacks. It’s very rare to see a team come off a championship, with basically the same team get slighted the way the Royals are. It might be the small market, the way they play, the lack of the so called “super star.” With that said, who cares! We know what this team is capable of doing, and that is winning a lot of games in the most frustrating way possible for their opponents. The Mets have to be sick to their stomach the way the Royals were able to handle them in the series. We know the drill by now, so let everyone talk and continue to be wrong about the Royals. If they are right about anything however it’s that this team has a two year window to win another World Series before possibly having to start over. The Royals have Cain, Esky, Moose, and Hosmer for at least another two years. Those are obviously four key players for this organization and would be tough to replace. Ned Yost and Dayton Moore did a great job of keeping this team together in the offseason, and are relatively healthy heading into their first spring training games next week. Sports Radio 810 will continue to bring you live programming from Arizona including Between the Lines all next week, and Tickets For Less has all your opening day ticket needs taken care of. Onto College Basketball where Kansas will win the Big 12 yet again, and K-State keeps the tradition alive of being the team that has been helping KU accomplish that since 2004. Unless there is some sort of unexpected collapse, KU will also be the number one overall seed in the NCAA Tournament. This Big 12 title is one of the more impressive ones, and Bill Self should be Big 12 Coach of the Year because he is doing it this year without a lottery pick, unlike the last few years, Kansas doesn’t have a one-and-done. Also, the Big 12 is as good as it’s been this year. What a run KU and Bill Self has put together with this program. Kansas just won three consecutive tough road games. While that may not seem as significant as it is because teams do this all the time, but not this year. Even the teams at the top are losing road games like crazy, and to average or below average teams as well. Kansas, along with North Carolina have been the most consistent teams this year. Kevin Kietzman is the award winning host of Between the Lines weekday afternoons on Sportradio 810 WHB in Kansas City. Recognized by Sports Illustrated, Talkers Magazine, Radio Ink and Sportradio.com as one of the top sports talk hosts in the country, Kevin and his family reside in Lenexa, KS.